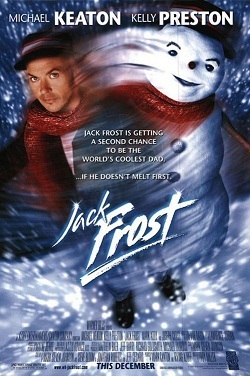 Jack Frost (1998) Michael Keaton is one of my favorite actors and I consider him to be in an elite class of Hollywood actors that have performed in the past few decades. His accomplishments range from a dazzling performance in Beetlejuice, to one that won multiple Oscars in Birdman. I think he should have gotten best actor as well, but the Academy did not agree. He’s been a memorable Batman, a drug addict in Clean and Sober, a cop in the great Jackie Brown. He most recently played the Golden Arches Ray Kroc in The Founder as well as a journalist in Spotlight, another Best Picture Academy Award winner. 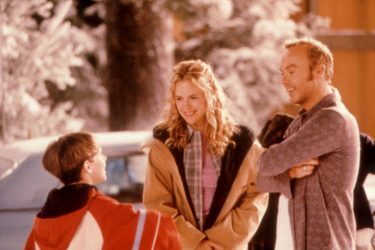 Somehow, some way, and sometime in the late 20th Century some ONE convinced Michael Keaton to be in a movie called Jack Frost. This movie is ample evidence that no actor, no matter how accomplished, can overcome dreadful script writing, production and direction. That was not the worst of it. The Special Effects were probably the worst in Christmas film history, especially considering the budget (see below). This movie was not meant in any way, form or fashion to be a horror or a camp movie. I mean, Jack Frost (1997) and Jack Frost 2 were supposed to be horror comedies. This movie was just a horror. I am hard pressed to think of another Christmas Movie that so miserably failed to accomplish any of its objectives. Goat help any parent who took a young kid to watch this mess. The attempted message in this movie is so hideously contrived that it defies imagination or explanation. Now that I have set the mood, how about the actual movie? Yeah, how about it. Let me give you a scenario. What if you have an ill-conceived, less than marginal niche movie, but have a Superstar Actor? What is your strategy? How about (Spoilers be damned) let’s kill him off at 31 minutes into a 1:47 hr. movie and replace him with the worst special effects character in the history of Christmas Movies? Brilliant! The movie picked up one year later and Charlie was sadly trying to deal with the first Christmas without Dad, so he built a snowman. A really dumb looking and creepy snowman, and he crowned it with Dad’s hat. Charlie then played the harmonica that Dad had given him. The Snowman miraculously came alive. I Horghed. Seriously, laughed out loud at what was supposed to be the defining moment of an uplifting Family Christmas Movie. They don’t ease you into this at all, you just instantly have a big, dumb snowman who wants to come inside and play Dad. Instead he stayed outside and talked to himself all night. The next day he participated with his son in the world’s dumbest snowball fight and snowboard chase with the school bullies. I’m not even going to bother with the rest of this film. I suggest that anyone reading this review not bother with any of it either. 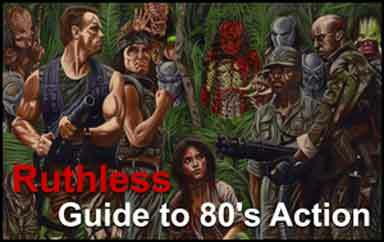 Well, that is, unless you love a terrible script, bad acting, and the worst special effects ever. Jack Frost was NOT: An Uplifting Spiritual Christmas Movie, A Family Christmas Movie, A Save Christmas Movie, A Scrooge type redemption Christmas Movie, A Christmas Horror/Slasher movie, or a Comedy/Camp Christmas Movie. Jack Frost was like an out of the body experience without the experience.